Christiaan Neethling Barnard (8 November 1922 – 2 September 2001) was a South African cardiac surgeon who performed the world’s first successful human-to-human heart transplant. Barnard grew up in Beaufort West, Cape Province, Union of South Africa. His father, Adam Barnard, was a minister in the Dutch Reformed Church. One of his four brothers, Abraham, died of a heart problem at the age of five. Barnard matriculated from the Beaufort West High School in 1940, and went to study medicine at the University of Cape Town Medical School, where he obtained his MB ChB in 1945. Upon returning to South Africa in 1958, Barnard was appointed cardiothoracic surgeon at the Groote Schuur Hospital, establishing the hospital’s first heart unit. He was promoted to full-time lecturer and Director of Surgical Research at the University of Cape Town. Three years later he was appointed Head of the Division of Cardiothoracic Surgery at the teaching hospitals of the University of Cape Town. He rose to the position of Associate Professor in the Department of Surgery at the University of Cape Town in 1962. Barnard’s younger brother Marius, who also studied medicine, eventually, became Barnard’s right-hand man at the department of Cardiac Surgery. Over time, Barnard became known as a brilliant surgeon with many contributions to the treatment of cardiac diseases, such as the Tetralogy of Fallot and Ebstein’s anomaly. He was promoted to Professor of Surgical Science in the Department of Surgery at the University of Cape Town in 1972. Among the many awards he received over the years, he was named Professor Emeritus in 1984. Following the first successful kidney transplant in 1953, in the United States, Barnard performed the first kidney transplant in South Africa in October 1967,. Barnard experimented for several years with animal heart transplants. More than 50 dogs received transplanted hearts. With the availability of new breakthroughs introduced by several pioneers, amongst them Norman Shumway, several surgical teams were in a position to prepare for a human heart transplant. Barnard had a patient willing to undergo the procedure, but as with other surgeons, he needed a suitable donor. He performed the world’s first human heart transplant operation on 3 December 1967, in an operation assisted by his brother, Marius Barnard; the operation lasted nine hours and used a team of thirty people. The patient, Louis Washkansky, was a 54-year-old grocer, suffering from diabetes and incurable heart disease. Barnard later wrote, “For a dying man it is not a difficult decision because he knows he is at the end. If a lion chases you to the bank of a river filled with crocodiles, you will leap into the water, convinced you have a chance to swim to the other side.” The donor heart came from a young woman, Denise Darvall, who had been rendered brain damaged in an accident on 2 December 1967, while crossing a street in Cape Town. After securing permission from Darvall’s father to use her heart, Barnard performed the transplant. Rather than wait for Darvall’s heart to stop beating, at his brother, Dr. Marius Barnard’s urging, Christiaan had injected potassium into her heart to paralyse it and render her technically dead by the whole-body standard. Twenty years later, Dr. Marius Barnard recounted, “Chris stood there for a few moments, watching, then stood back and said, ‘It works. '” Washkansky survived the operation and lived for 18 days. However, he succumbed to pneumonia as he was taking Immunosuppressive drugs. Though the first patient with the heart of another human being survived for only a little more than two weeks, Barnard had passed a milestone in a new field of life-extending surgery. Barnard became an international superstar overnight and was celebrated around the world for his daring accomplishment. He was quite photogenic, and enjoyed the media attention following the operation. Barnard continued to perform heart transplants. A transplant operation was conducted on 2 January 1968, and the patient, Philip Blaiberg, survived for 19 months. Dirk van Zyl, who received a new heart in 1971, was the longest-lived recipient, surviving over 23 years. Barnard performed ten orthotopic transplants (1967–1973). He was also the first to perform a heterotopic heart transplant, an operation that he himself devised. Forty-nine consecutive heterotopic heart transplants were performed in Cape Town between 1975 and 1984. When many surgeons—disillusioned by poor results—gave up cardiac transplantation, Barnard persisted until the advent of ciclosporin, which helped revive the operation throughout the world. He was also the first surgeon to attempt xenograft transplantation in a human patient, while attempting to save the life of a young girl unable to leave artificial life support after a second aortic valve replacement. He was later accused of wrongdoing by her parents. After his first successful heart transplant Barnard became known as the “film star surgeon”. He was loved by his patients throughout the world, hundreds of whom were treated free of charge, and hated by many others who were jealous of his instant success. He was accused by some colleagues in the profession of “stealing” the idea and the opportunity to perform the first heart transplant. Often considered a spoiled and arrogant personality, he was also regarded as kind and considerate by others. Because of his widely publicised love affairs, he became jokingly known as “doctor of hearts”, referring to the heart as an emotional symbol rather than in its usual medical context. Barnard was an outspoken opponent of South Africa’s laws of apartheid, and was not afraid to criticise his nation’s government, although he had to temper his remarks to some extent to travel abroad. Rather than leaving his homeland, he used his fame to campaign for a change in the law. Christiaan’s brother, Dr. Marius Barnard, went into politics, and was elected to the legislature on an anti-apartheid platform. Barnard later stated that the reason he never won the Nobel Prize in Physiology or Medicine was probably because he was a “white South African”. Barnard’s first marriage was to Aletta Gertruida Louw, a nurse, whom he married in 1948 while practising medicine in Ceres. The couple had two children: Deirdre (born 1950) and Andre (1951–1984). International fame took a toll on his personal life, and in 1969, Barnard and his wife divorced. In 1970, he married heiress Barbara Zoellner when she was 19, and they had two children: Frederick (born 1972) and Christiaan Jr. (born 1974). He divorced Zoellner in 1982. Barnard married for a third time in 1988 to Karin Setzkorn, a young model. They also had two children: Armin (born 1990) and Lara (born 1997), but this last marriage also ended in divorce in 2000. Barnard allegedly had affairs with a number of famous women, including Gina Lollobrigida and Françoise Hardy. Barnard retired as Head of the Department of Cardiothoracic Surgery in Cape Town in 1983 after developing rheumatoid arthritis in his hands which precluded his surgical career. He struggled with arthritis since 1956, when it was diagnosed during his postgraduate work in the US. After retirement, he spent two years as the Scientist-In-Residence at the Oklahoma Transplantation Institute in the US, and an acting consultant for various institutions. He had by this time become very interested in anti-aging research, and his reputation suffered in 1986 when he promoted Glycel, an expensive “anti-aging” skin cream, whose approval was withdrawn by the United States Food and Drug Administration soon thereafter. He also spent time as a research advisor to the Clinique la Prairie, in Switzerland, where the controversial “rejuvenation therapy” was practised. He later expressed regret for endorsing Glycel. Barnard divided the remainder of his years between Austria, where he established the Christiaan Barnard Foundation, dedicated to helping underprivileged children throughout the world, and his game-farm in Beaufort West, South Africa. 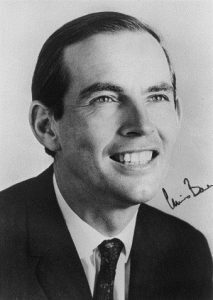 Christiaan Barnard died in September 2001, while on holiday in Paphos, Cyprus. Early reports claimed that he had died of a heart attack, although an autopsy showed his death to be caused by a severe asthma attack.